At the State Botanical Gardens. Thayer Sarrono’s teasing lyrics accompanied our welcome toast as we began our visit to Athens, Georgia. My husband and I were ready for some adult fun. 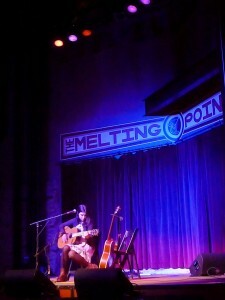 Thayer Sarrono on stage at the Melting Point. The University of Georgia is often ranked among the country’s top party schools and the town’s motto is “Life Unleashed” so we were hopeful we’d find it here. The Foundry Inn and Spa got the good times rolling right away. This is the city that famously birthed some of the country’s best bands: R.E.M., Widespread Panic, the B-52’s and many others. Just a few steps from our comfortable room at the hotel was the Melting Point. 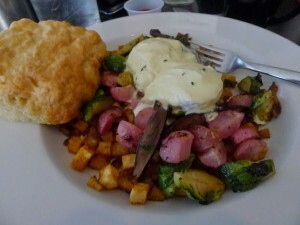 The vegetable hash breakfast at Mama’s Boy. Every city should have a venue like this one with a first-class sound system, a big stage and a room full of enthusiastic listeners of all ages. There are outdoor seats for folks who want to smoke or talk more loudly, a bar with TVs away from the stage and plenty of seats around the large dance floor as well as a balcony perched above. As we listened to Thayer’s folky set we munched on fish tacos from the menu that ranges from snacks to hearty meals. 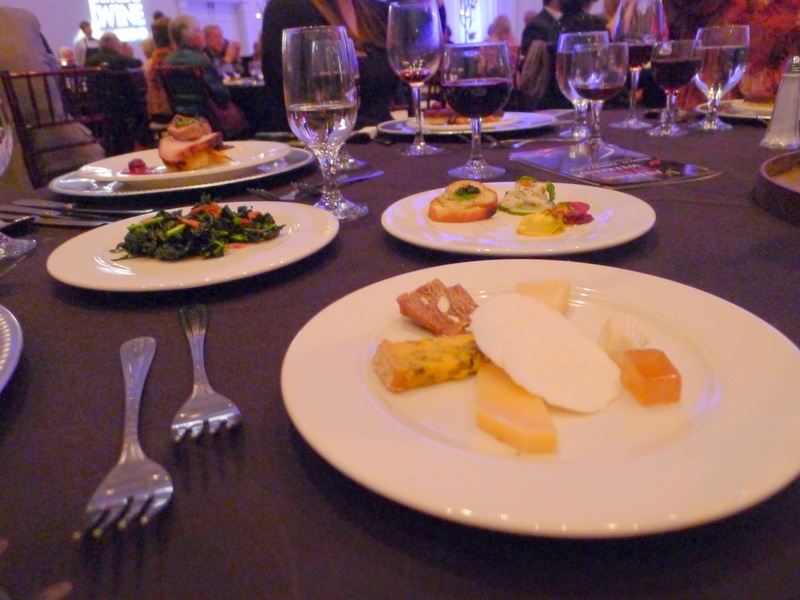 Chefs put their best food forward at the Wine Weekend. We really appreciated that the music starts quite early. You can catch the headliners and still be in bed before midnight. It was so fun and easy that we went every night. 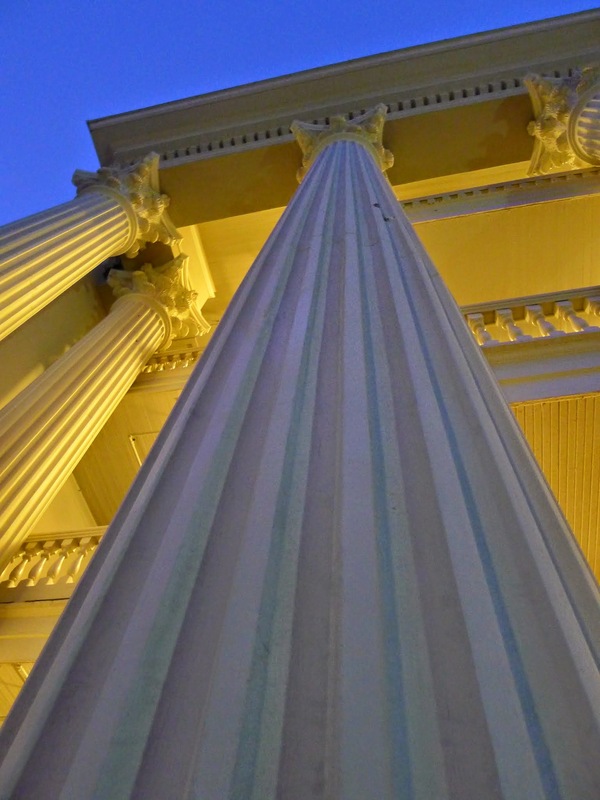 The club hosts plenty of stellar local talent as well as national acts like The Soul Rebels who rocked the house a couple of nights later with their explosive New Orleans brass sound. We never left the dance floor and couldn’t believe our luck in seeing this world-class band in such an intimate venue as they stopped in Athens on their world tour—next stop France. And what a bargain! Admission to the Melting Point was included in our hotel charge and is otherwise only about $10. We’d return to Athens just to go to the Melting Point again. Funky sculpture amid the ciy’s finery. 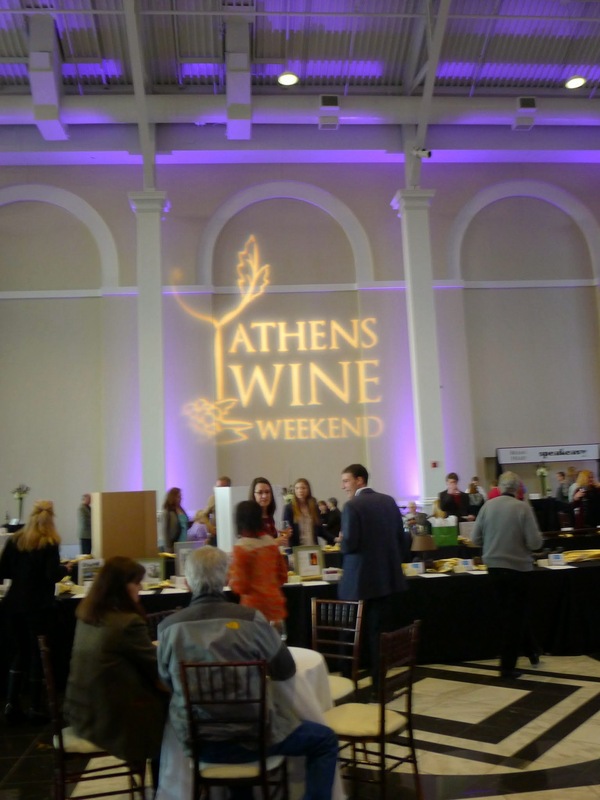 Hobnobbing with the friendly crowd at the Athens Wine Weekend, many people commented to us that Athens is not your typical college town. 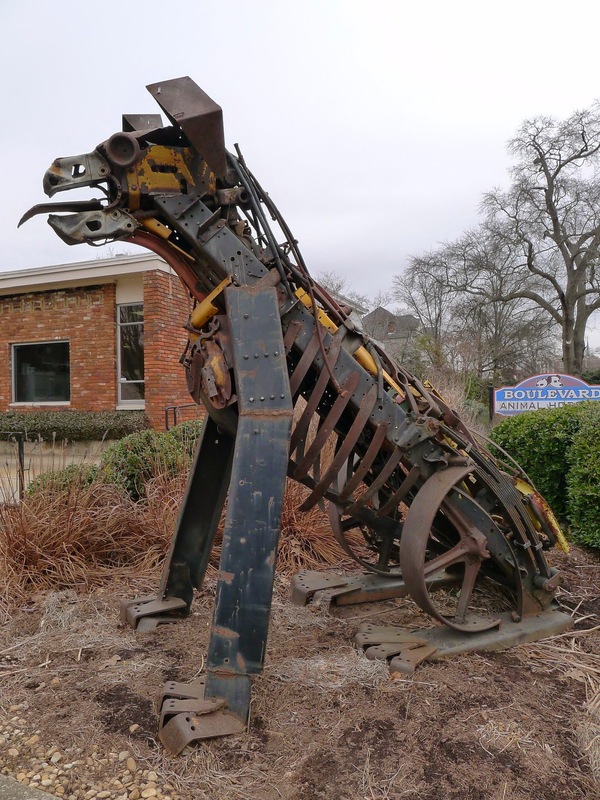 “The wide range of ages, the cool and funky vibe and the burgeoning creative industry have contributed to a town of professionals that are very creative. It makes you dream to live beyond what you imagined when you came out of college” said Meredith Metcalf of the Classic Center which hosted some of the weekend’s events. 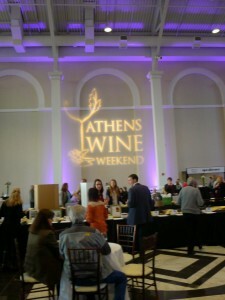 The Wine Weekend is a fundraiser each January for the Cultural Foundation which provides scholarships, buys art and makes grants to cultural organizations. It began with a classy Amuse Bouche where we sampled several wines including the Sea View Ridge Pinot Noir which was described as “not your Tuesday night wine.” This is the we-just-got-engaged wine. The next afternoon almost 1,000 people came to the wine tasting and a sold-out crowd enjoyed the Gourmet Dinner that evening where shrimp timbale was the first of six courses highlighting the city’s best chefs. Meanwhile, we were exploring the town’s other attractions. Since the Bulldogs weren’t playing football that weekend, nothing was very crowded. At certain times of year, it’s all about those “Dawgs”. 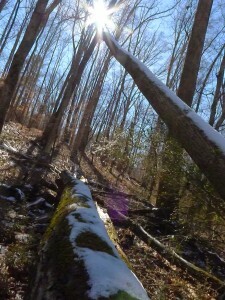 We especially enjoyed the 313-acre State Botanical Garden where we wandered the hiking trails amid the frost covered trees. The town’s North Oconee Greenway drew my husband for a morning jog and I wandered the pretty downtown where 16 neighborhoods are on the National Register and history is around every turn. Stately columned houses, many with historic markers, abound. The University was the first state college in the country to be chartered in 1785 and the campus is particularly charming. 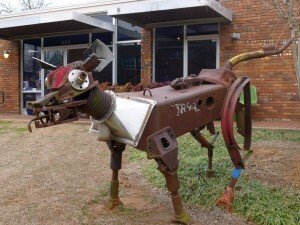 Scattered amid the grand architecture are occasional funky sculptures made from found objects, many inspired by bulldogs of course. It’s all part of Athen’s Dawg-as-muse attitude to “loosen up your collar” and enjoy.